MILE 26, PHILIP GOLDSON HIGHWAY, Belize District, Mon. Sept. 25, 2017–A young Belizean female, 12-year-old Daphnie Polanco of Dangriga, lost her life in a road traffic collision that occurred at Mile 26 on the Philip Goldson Highway, Belize District, at about 8:30 Friday night. Police said that Polanco was traveling with her family from Orange Walk Town to Belize City in a 4-door Mazda pickup when a car rear-ended them. The impact caused the pickup’s driver to lose control of the vehicle, and it overturned. Polanco suffered massive head injuries and reportedly died immediately. Traveling at the time in the double cab pickup when the collision occurred were five other persons—David Polanco, Darcie Lopez, Tyrone Parham, Davisha Polanco, and Davina Polanco. Davina Polanco suffered minor injuries; David Polanco complained of pain in the left arm, left leg and in the left side of the head; Darcie Lopez complained of pain in the left arm; Tyrone Parham suffered a cut to the left side of the head; and Davisha Polanco complained of pain in the left side of her head and her left arm. Traveling in the car, which also overturned, were Jordial Usher and Dion Skeen. Both of these persons were unhurt. 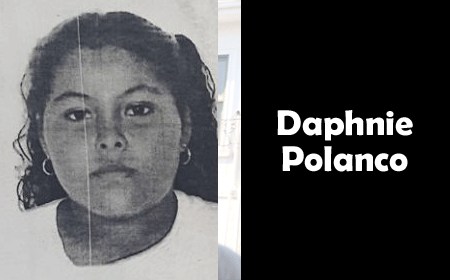 Daphnie Polanco was a Standard 5 student at the Solid Rock Academy in Dangriga. Her family said that she will be buried in Dangriga on Wednesday afternoon. Police investigations into the tragic accident are ongoing.